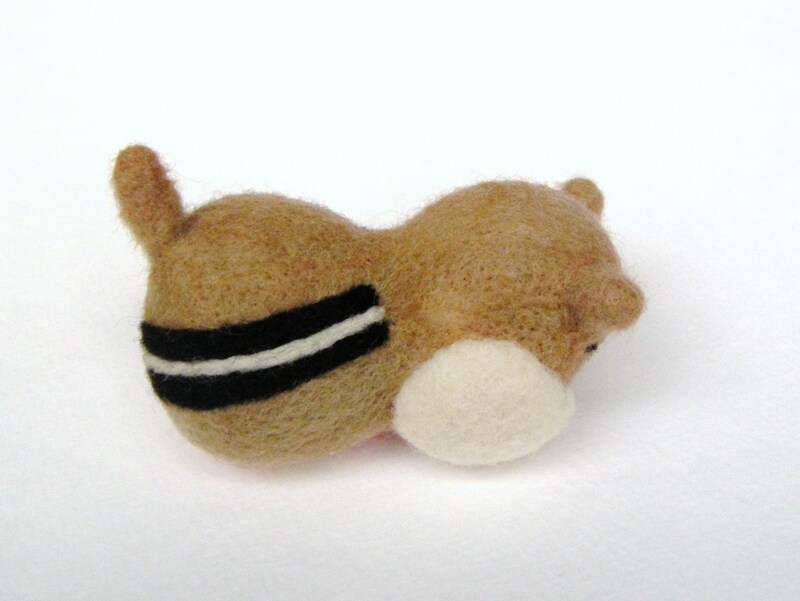 Needle Felt Chipmunk–new improved baby version! edible “weeds” in my yard! 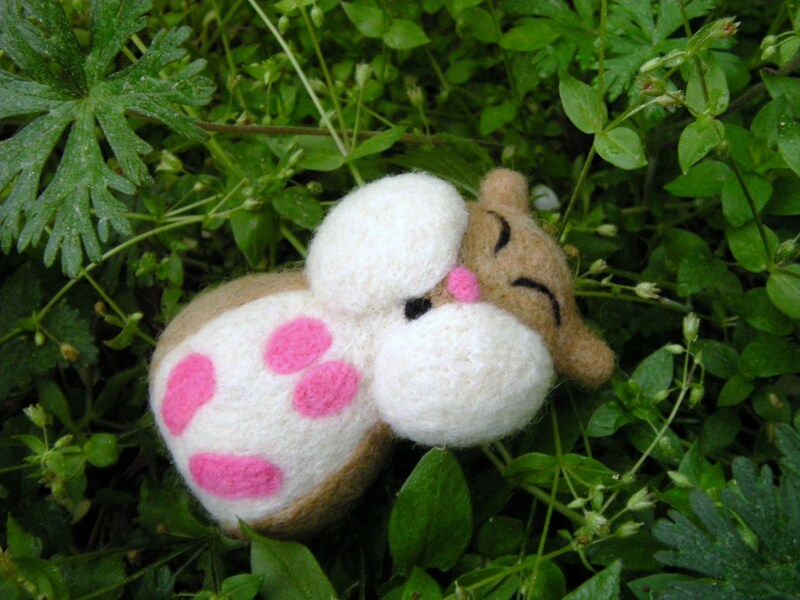 A few weeks ago, I needle felted a different chipmunk for a spring charity event. Well afterwards, I decided I simply wanted more cuteness in a chipmunk. Therefore, my new chipmunk design became a baby and then a baby with huge chipmunk cheeks and then a sleeping baby with huge chipmunk cheeks. At that point, I realized the cuteness meter had been maxed and it was time to bring this idea to life! Yes, I realize that huge chipmunk cheeks on a sleeping chipmunk is somewhat illogical being the huge cheeks should only be apparent while eating. However, sometimes the most basic logic flies out the window when one is pondering the maximum degree of CUTENESS! This chipmunk was a rather simple design. I simply needle felted two small balls, left a bit unfelted on one ball and used that unfelted bit to attach the two balls together. This is how I achieved the basic shape of the sleeping chipmunk. Most needle felted animals have arms or legs to attach; being that the legs were simple alluded to with the pink feet, this chipmunk was rather quick and fun to create. I love just focusing on the fun detail part of needle felting! Hopefully I will have time this coming week to needle felt more than one feltie. We shall see. Until next time . . .